My mother was the original master gardener. She may not have the formal certificate but she’s got street cred. 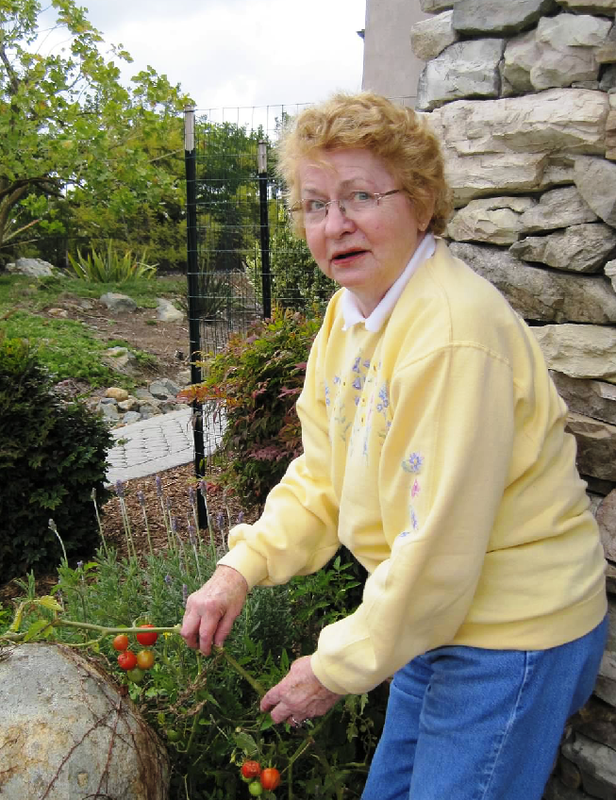 Her vast garden fed a hungry family of eight year-round, and inspired a love of gardening in all six of her children. Oh, we whined when we were sent out to weed, a never-ending task, and bickered among ourselves about who was slacking. Weeding eventually gave way to picking the day’s bounty. There’s nothing like eating a carrot just pulled from the soil, or splitting open the first peas and gobbling them on the spot. But shucking enough peas or stringing enough beans for our big family was hard work. There were occasional benefits to having six children – and assigning the garden work to the child labor force was one of them. Mom had a green thumb, and her bounty graced practically every meal put on the Johnson table. We ate fresh produce all summer and into the fall. She also ‘canned’ fruit and vegetables, a lost art. Her gorgeous produce lined the shelves of her basement pantry – hundreds of Mason jars that gleamed like jewels. Ruby red beets, emerald beans and pickles, carrots, tomatoes. Peaches, cherries, pears bought by the crate, patiently peeled, pitted, blanched and sealed into glass jars. Once we settled down, the Johnson children eventually drifted back to their gardening roots. My brother in Minneapolis starts his seeds under grow lights when snow still covers the ground, lovingly tends his veg in terraced beds, and then gives away the harvest. Another brother is in pursuit of the hottest peppers on Earth, astonishing his sibs by chewing on pickled habaneros. Sis in Alaska gets “biggest veg” bragging rights, taking advantage of Alaska’s endless summer sun. San Diego sister has citrus trees of every color. And Oregon sister harvests “U-Pick” cherries and berries. Dearest Mom: Thank you for giving us the lifelong gift of gardening.